Here are some ribbed band hats I crocheted in several shades of yarn in child sizes. Here is a pretty colorful wool hat I crocheted with a ribbed band. 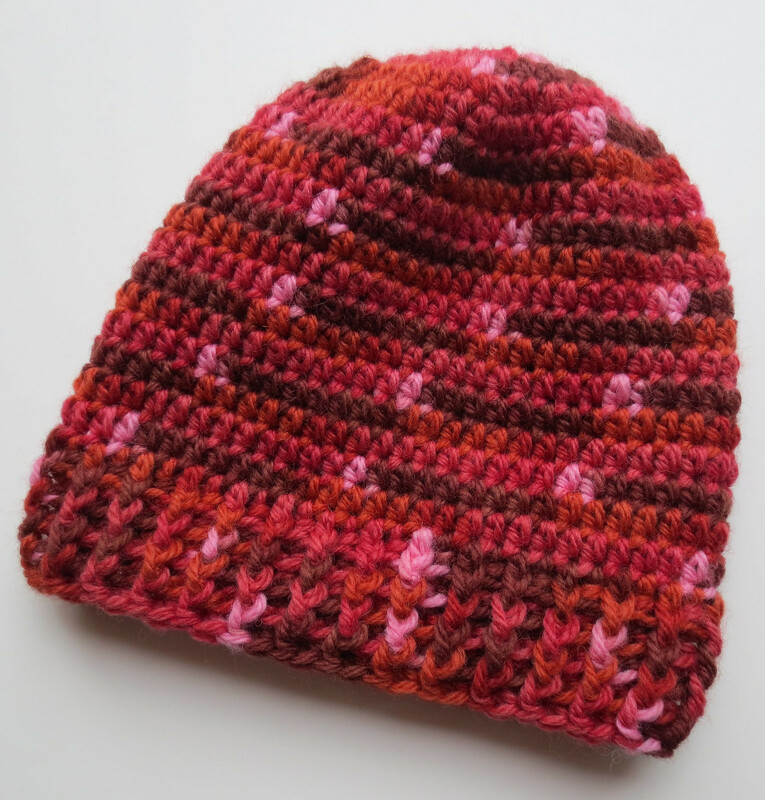 I used my ribbed band hat pattern but only worked even on 58 stitches as of round 5 for a child’s size with a 5 mm (H) crochet hook. This resulted in a finished size of 17 inch Cir at band edge and 8 inches long that fit a 2 year old girl just fine. A friend at Ravelry shared this pretty crocheted scalloped hat edging. It just looked so nice on the baby hat she crocheted that I wanted to try it. You can use any baby or child’s hat pattern you have and just add this crocheted scalloped edging to the beanie once it’s finished. 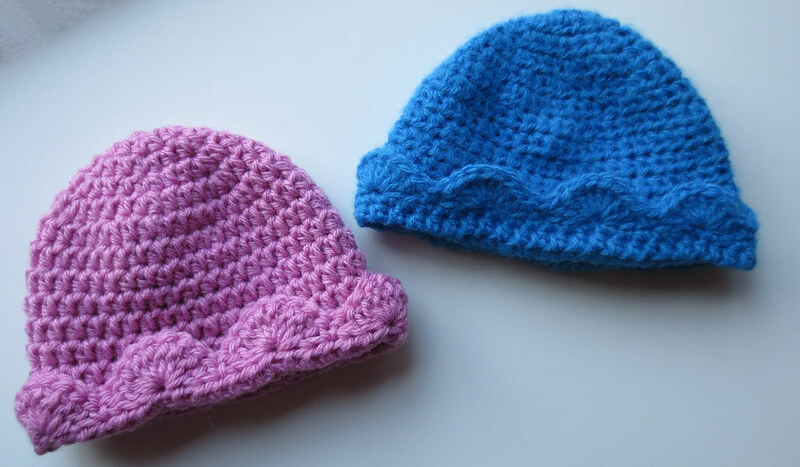 The pink and blue baby hats were crocheted using a basic beanie pattern. I then added the edging to both. The only difference is that the blue hat has a round of single crochet stitching around it before I added the scallop edging round.